Our November Employee Spotlight belongs to a fairly new member of our team, but she has been very hardworking and extremely valuable nonetheless! 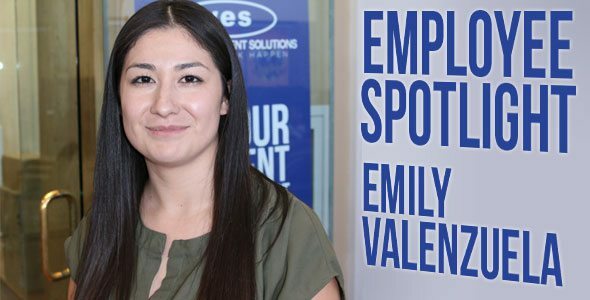 Emily Valenzuela has been such an asset to our West Valley City team and definitely deserves a shoutout. She has been very reliable, has great customer service, and brings such a fun personality to work each and every day! We love having you on our team, Emily. You rock! Food, shopping, road trips, the outdoors, and spending time with my daughter. Someone chewing loud, spiders, and laundry. How we can have fun and joke around and at the same time get work done. If we can have a hot Cheetos and Coke machine in the office. Johnny Depp because I love his movies and his funky style. My hometown California. But would love to travel around the world to find my perfect place. 7. Carl’s Jr or McDonald’s or Wendy’s? Why? Carl’s Jr! It was my first job in HS. I don’t get tired of Carl’s. I don’t like to make mistakes. I tend to find myself checking and rechecking my work. Believe in myself and stop second guessing. We are a great company to work for. We are here to help you. Just come in with a good attitude and be ready to work. 11. Everyone knows it’s Kenny’s fault you’re wearing adult braces, but who would look better as a brace face? Reed Laws, the president of Your Employment Solutions or Kerry Westenskow the vice president? Reed because he told me he had braces before so now I can picture him with them. Thanks again for everything that you do Emily! You help make YES a great staffing company and a great place to be!